The XXII Olympic Winter Games will be held from February 7 to 23, 2014 in the resort city of Sochi, on the shores of the Black Sea and in the surrounding mountains. They already have broken a record as they are considered as the most costly Winter Games ever as everything had to be build from scratch. Russian and IOC officials are painting a rosy picture of the upcoming games. 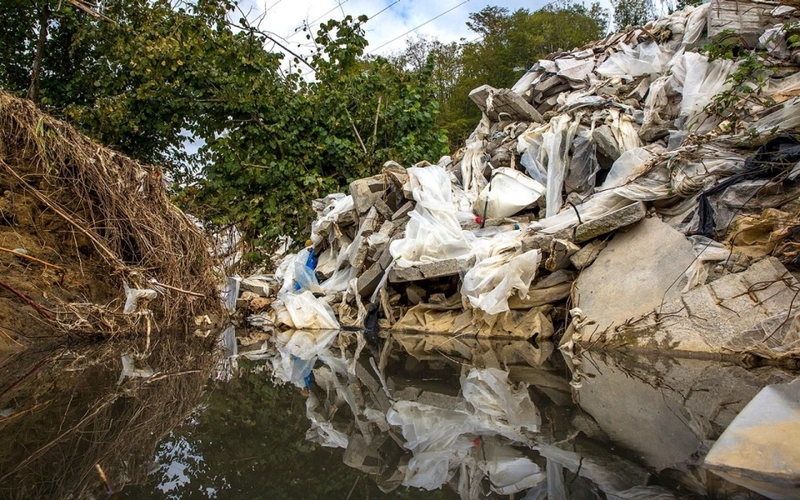 But things in Sochi are far from perfect according to various environment protection associations including “Environmental Watch on North Caucasus”, a group of activists that has received hard treatments from the current authorities. This organization works to protect “wild nature” and advocate environmental human rights in the Russian Caucasus, the Black and Caspian seas and mountain ecosystems. These Winter Games were sold to the media and the public as the greenest Olympic games. However, to make them happen Russian laws have been changed to allow construction work in various protected areas, roads have been built across wilderness without consideration for the unique flora and fauna destruction, population has been displaced where venues and infrastructure building needed it (sometimes without true compensation), waste management has been neglected, new polluting power plants have popped-up to supply all the needed energy…. But, in the end one can ask the question: who will benefit short term and long term from this expected manna? Will it really come? What will happen after the games? Billions in renovations and construction work will leave permanent damages in the unique nature around Sochi. The bill will not only be paid by the environment, but also by the inhabitants. This is the final sprint before the 2014 Winter Olympic Games: During these days the excavators of Sochi shovel day and night. Even before their start the cost of the games breaks all records: With around 50 billion euros the Russian games rank among the most expensive in Olympic history. The Black Sea summer resort used to be the holiday paradise of the Soviet Union. Even in the early winter, the temperatures are here around 18 degrees. A traffic corridor through the middle of the nature. 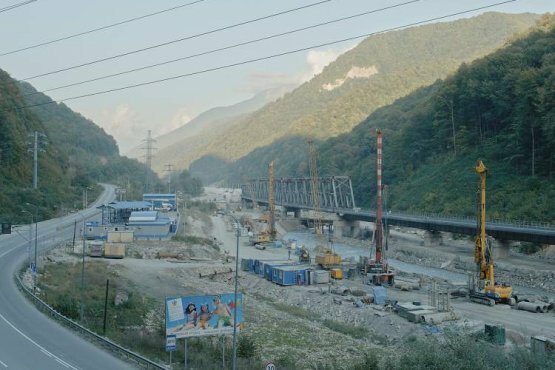 A four-lane expressway connects the main venues in Sochi on the Black Sea with the almost 50 kilometers away Krasnaya Polyana, the alpine competitions site, it runs along the Mzymta river, a traffic corridor going through the middle of the nature. The Kremlin critic Boris Nemtsov calculated that one kilometers of this connecting road costs about 200 million euro- the high level of corruption made the road so expensive. It is estimated that infrastructure projects are more than half of the total cost incurred. According to the environmentalists, the 2014 Winter Olympics is mainly going at the expense of nature. Since the beginning of the constructions the Olympic sites in Sochi have been flooded several times by the Mzymta river. Just this year the newly built road to Krasnaya Polyana sank already twice under the water. In the district of Sochi, just off the river mouth in the Black Sea, resides Alla Kola, a 21-year-old female. She has been found in one of the newly built hotels working as a receptionist and thus belongs to that small part of the population that will benefit from the Olympics. The symbolic meaning of the name Mzymta in the Ubykh language of the once residents here, is “wild”. The «wild» Mzymta had been straightened for the Winter Olympics. Environmentalists criticize that in addition to the destruction of the natural course of the river, the planning was not cautious enough. Heavy rain, as they often happen in the region around Sotchi, were not well taken into account. The flow burst now with great speed into the valley where drainage facilities are lacking. In addition, Alla also remembered the dense foam crowns which were washed ashore by waves on the sea’s beach during spring two years ago. Though she did not know at that time that the foam on the water was fathered by pollution triggered by the “most expensive street in Russia”, as the Kremlin critic Boris Nemtsov call it. Indeed during the road construction work a container collecting contaminated drilling water did overflow. In fact the burden of waste water has increased dramatically since the start of construction and will further increase with the expected 120,000 visitors (up to 240 000 are expected). Most house sewage in Sochi do not flow in managed sewers, but directly to the Black Sea. The Olympic billions have changed nothing in this situation. 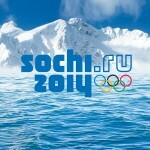 For the Sochi inhabitants the Olympics has no positive impact in their social situation. To the contrary: According to the human rights organization Human Rights Watch, some 2,000 families have been forcibly relocated because their homes were replaced by new roads and stadiums. Not all of them have even received compensation payments from the state yet. They now live in abandoned Soviet holiday homes. In the valley between the Black Sea and Krasnaya Polyana is the small village of Achschtyr. Since it was announced in October 2013 by media reports that two illegal quarries near the village were also used as landfills, journalist groups regularly visit the small village under the guidance of local conservationists. From a hill you can look down into the valley where the Mzymta flows around the bridge piers of the newly built road and railway tracks. The quarries are located right in the natural and water reserves. How much of the soil is poisoned by the dumped waste, is difficult for the environmentalists to estimate. Both quarries are guarded around the clock by security services. Nevertheless, the organizing team Sochi 2014 continues to speak of the greenest games of all time and holds it firmly to dispose of waste in an environmentally compatible. 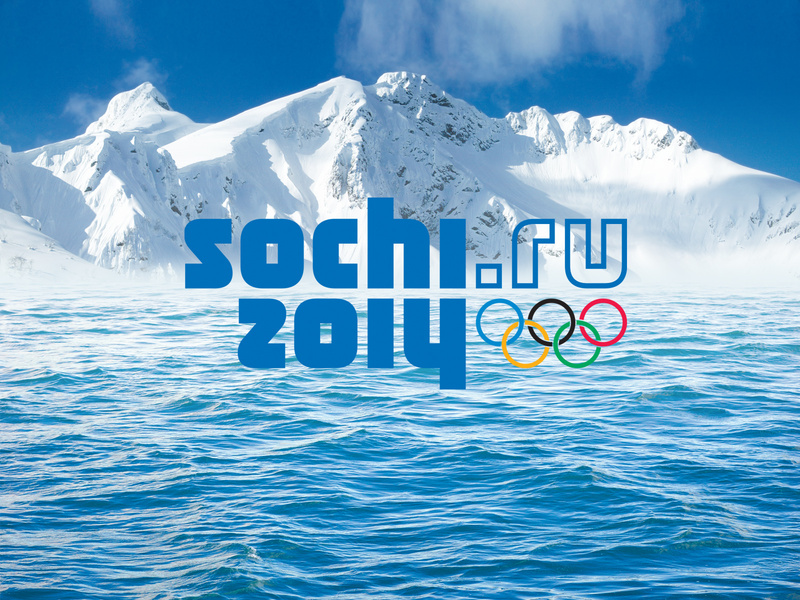 Environmentalists have long criticized the lack of a sustainability view of the entire Sochi 2014 project. A condition of the International Olympic Committee (IOC) was the provision of 42,000 hotel rooms which have sprung from the soil throughout Sochi and Krasnaya Polyana. Olga Petrovnavon, an environmentalist hotel operators predicts a large wave of bankruptcies, even if they take out its own investments from the assessment. For a city like Sotchi with not even 350,000 inhabitants, the newly created infrastructures are oversized. Olga Petrovnavon, a member of the Environmental Watch of Northern Caucasus was born in Sochi. The 37-year-old sees the billion investment as a shot in the wind: “Sochi is a city that one has stolen the face.” For the posters saying “It’s your Olympics,” she only has a tired smile. “Our Olympics?… The only ones who will benefit from it are corrupt businessmen and government, sticking the taxpayers’ money in their pockets”. Olga Petrovnavon is not alone with this opinion, According to a survey by the independent Levada Institute last summer, 65% of Russians believe that the money spent in Sotchi by the government will be wasted”. President Putin, meanwhile is plagued by other worries, as the mood in the country toward the Olympics becomes very wary. Shortly before year’s end 34 people were killed by North Caucasian terrorists in a bomb attacks in Volgograd. The message to Putin was a serious warning for the Sochi games. With huge police and army contingents Putin wants to master the situation. The airport in Sochi is not only developed for tourists but also as a military base during the games. Fearing aircraft attacks in the mountains next to the slopes and ski lifts Ground-Air protection guns have been positioned into the slopes of the Caucasus. But it is an impossible task to protect the entire country during the Olympic Games against attacks. With the venue in Sochi, Putin could hardly move closer to the source of Northern Caucasus danger. From the center of the Olympics on the Black Sea coast there are just 15 kilometers to the Abkhazia border. The fear that Chechen terrorists could propagate via this route to Sochi is so great that the boarder will be completely closed during the Olympics. Given the enormous security measures, many Sochi residents worry: “For me during the Olympics there is only one thing to do: “Get out of here! A normal life during the Olympics will be impossible”, Helene Magadeewa complained. While Helene is considering where she wants to travel, those responsible for the games are still frantically searching for uses of the new building after the Olympics. Some games of the 2018 World Cup are to be held in Sotchi, even parts of the 2016 Ice Hockey World Championships. A recreational park hope to attract visitors all year round. But that’s not all: Currently in Sotchi Russia produced the most modern car racetrack by the sea. In the fall of 2014 the Grand Prix of Russia will be held for the first time. With this, the promises of silence and fresh air as in the former resort of Sotchi would come to an end.